Resource center A Look at Drug Abuse. Common Signs and Symptoms What Does Time-Release Mean in Terms of Drug Consumption? Time-release drugs use a special technology to release small amounts of the medication into a person’s system over a long period of time. This is also referred to as sustained release, extended release, or controlled release. These tend to come in pill form and are simply made to be more potent but dissolve slowly. This allows people who suffer from chronic pain and other conditions that need constant medication to only have to take their pills once or twice a day, giving them more freedom and reducing the risk of forgetting to take or accidentally taking too much medication. These drugs may be prescribed with instant-release pills, which are designed to release all their medication as quickly as possible. This is mostly done for chronic pain patients who experience breakthrough pain, which is so intense that it “breaks through” the time-release medication already in the system, causing pain even while medicated. Prescribing both is often done for cancer patients. Time-release pills are often developed and marketed for convenience, but they’re also often meant to discourage drug abuse. Opioid painkillers are very popular for treating both chronic and short-term pain due to their effectiveness. Unfortunately, they also have a high potential for abuse and addiction, and overdose cases from these drugs have increased dramatically in recent years, outpacing both heroin and cocaine. According to the National Institute on Drug Abuse, up to 36 million people abuse these drugs worldwide. Standard, instant-release opioid pills can cause a euphoric high, especially if taken in high doses. This pleasurable feeling and the pleasant high that follows have motivated many people to abuse these drugs. Time-release opioids, on the other hand, might produce a high, but it will not be nearly as powerful due to the fact that the actual drug is being released so gradually into the system. Unfortunately, ingesting a prescription opioid orally is not the only way to abuse it. People will often crush up the pills into a powder to snort, smoke, or dissolve them into a solution to be injected. This allows the drug to bypass the entire digestive system and rushes the drug all at once to the brain, resulting in an intense euphoria. To combat this, companies have begun to put naloxone in time-release pills. Naloxone is a medication often used to combat opioid overdose as it blocks all opioid receptors in the brain. This prevents any opioid from having any further effect on the body. Naloxone has saved many lives, and a new version of the medication can help to prevent this widespread and dangerous drug abuse. The naloxone in drugs like Targiniq ER, a new version of oxycodone (the opioid in OxyContin), is only activated if the pill is crushed or dissolved. This way, anyone who tries to abuse this drug will find that the oxycodone has no effect at all. The only way the medication can work is through oral ingestion of the time-release pill. Despite these new innovations, the vast majority of prescription medications do not come in a time-release formula, and the vast majority of those medications do not contain naloxone and can therefore be abused. Any suspected abuse of or addiction to prescription opioids in particular is very serious and should be treated with professional medical help. What is the difference between fast-acting and time-release pills? Health Central describes that the differences between fast-acting and time-release drugs can affect the way treatment works. In fast-acting or immediate-release pills, the full dose is available to the body immediately. This does not necessarily mean that the drug acts immediately and then stops working. Some fast-acting medications will have longer-term action depending on how the body metabolizes them, enabling the blood concentration of the drug to build up and have a cumulative and continual effect over time. Time-release pills, on the other hand, dissolve in the digestive system over a period of time, so the full dose is not released into the bloodstream right away. Instead, the dose is slowly released from the pill over time so the medicine’s concentration level can stay constant in the body until the next dose is consumed. Is extended-release the same as time-release? The terms extended-release, time-release, delayed–release, and sustained-release are often used interchangeably; however, these terms can have slightly different meanings. Time-release medications are drugs that are released slowly over time within the body rather than all at once. This enables a sustained or delayed action within the body, making sure that the individual doesn’t get too much of the drug at once or doesn’t get it right away. The opposite of time-release, as described above, is immediate-release, where the full dose is available to the body immediately after taking the drug. According to the Food and Drug Administration, the two main concepts behind time-release medications are delayed-release and extended-release. Delayed-release medications are usually coated with a substance that keeps the drug from dissolving until after it has passed through the damaging digestive juices in the stomach; this is done because sometimes the drug can be damaged by digestion. On the other hand, extended-release medicines involve the medicine being mixed into a matrix that dissolves slowly over time, making sure both that the person doesn’t get too much of the substance at once and that the amount being released stays relatively constant over time. Is acetaminophen used in medications to prevent abuse? For a number of years, acetaminophen has been included in mild opioid prescription medications to help prevent addiction to and overdose on opioids. By adding acetaminophen, the drugs rely less on the opioid medication for painkilling, providing some of the analgesic effects through the less addictive acetaminophen. Why are some pills coated or in capsule form? As described by Health.com, there are a variety of reasons that medicines might be coated or put in capsules. One reason is that coated drugs are simply easier for some people to swallow; however, the main reasons are a little more complex than that. In some cases, medicines might harm the lining of the stomach. Aspirin is one of these that can cause digestive damage. 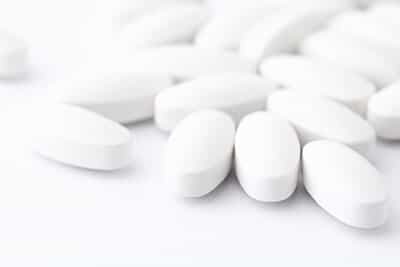 Therefore, aspirin is often coated or placed in a capsule so it will not be released until after it passes through the stomach, so it won’t do damage. In the opposite case, some drugs can be damaged by the stomach acid produced during digestion. To avoid losing potency of the medication, these drugs are coated or placed in capsules to delay release of the medication until after the drug has passed through these harmful acids. Finally, some coatings or capsules are made of a matrix that prevents the drug from being released immediately. As the coating or capsule slowly dissolves, small amounts of the medication are released so the individual gets a sustained dose over time.